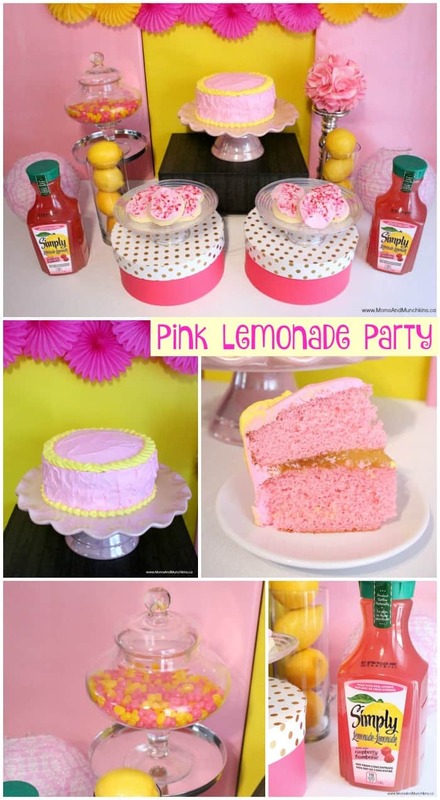 Spring is just around the corner and I’m already dreaming about all the fun spring & summer themed parties coming up! 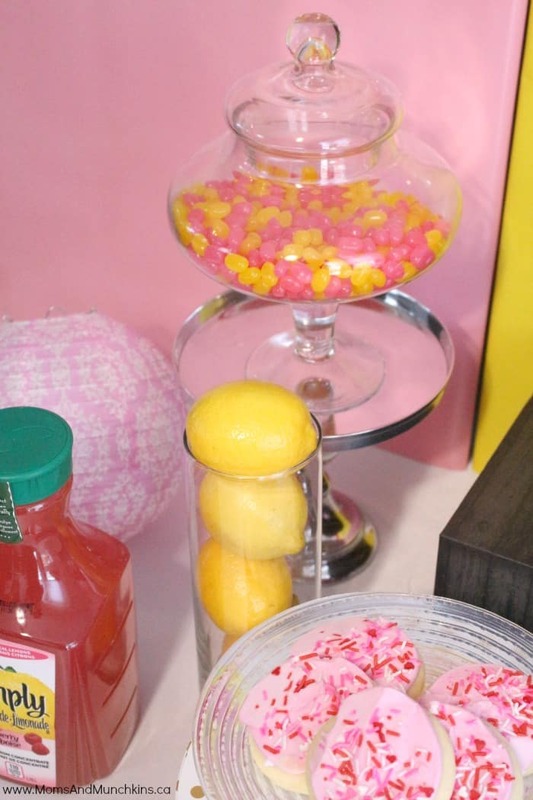 My latest party article for Calgary’s Child Magazine is perfect for a spring theme – Pink Lemonade Party! I’ll share all the party photos with you here but be sure to visit the magazine article for all the ideas for decorating, food, activities and more! 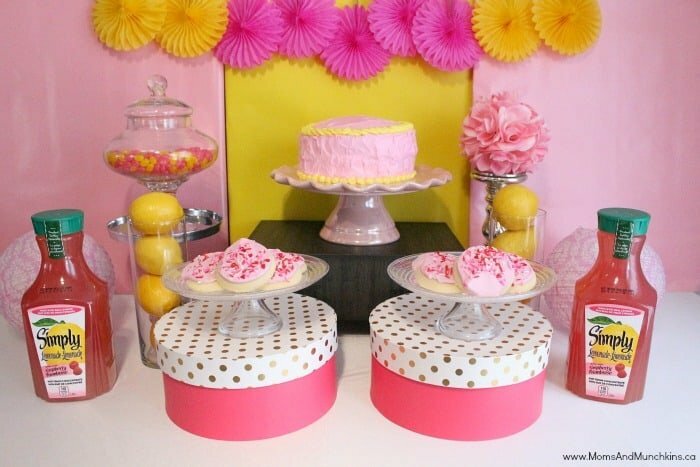 Yellow & pink are both bright & cheerful colors perfect for spring or summer party themes. If the weather is nice enough, this would be a great party to host outside. I’m picturing a pretty garden tea party with a cute homemade wooden lemonade stand to hold all the desserts. Adorable! 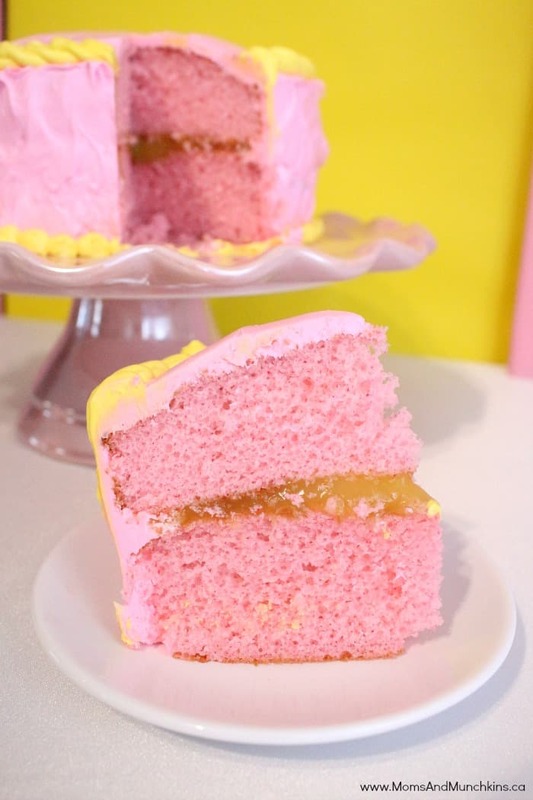 For desserts, you’ll want to check out this post with delicious pink lemonade recipes like cake, cookies, pink lemonade icing and more! 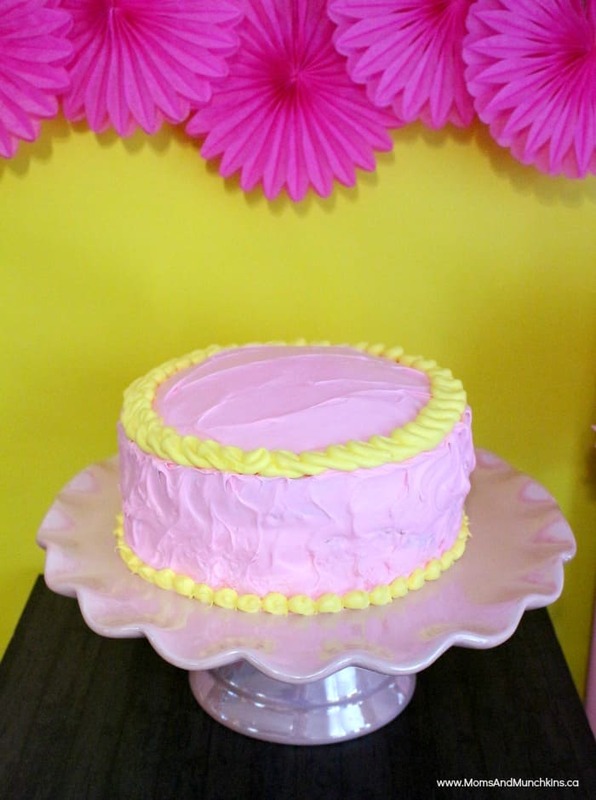 Since I made this cake, my son (4) has been asking for another pink cake. For his 5th party this year, he wants a pink cake with a Star Wars theme. Ha! Too cute! I’ll have to see what I can put together for him with those requests! I don’t think Star Wars decorations come in pink. 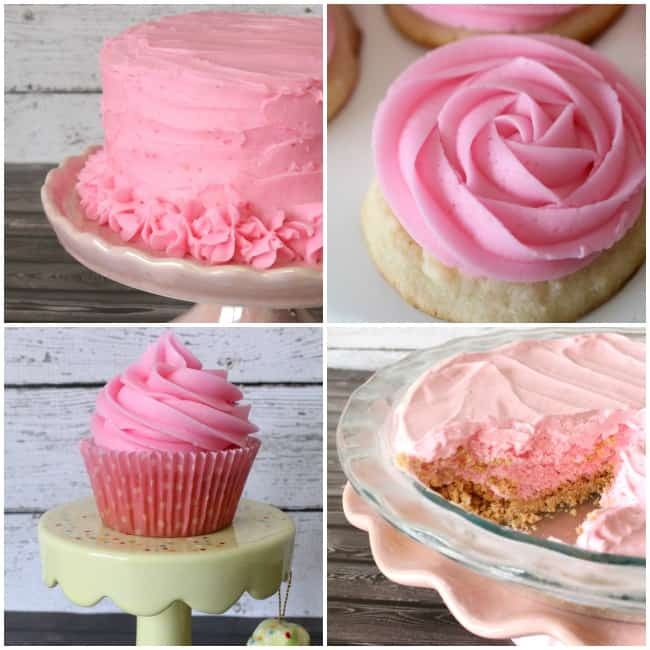 For easy dessert ideas, you can pick up pink frosted cookies, pink iced Pop Tarts, pink & yellow jelly beans, etc. Lots of cute ideas for this theme! 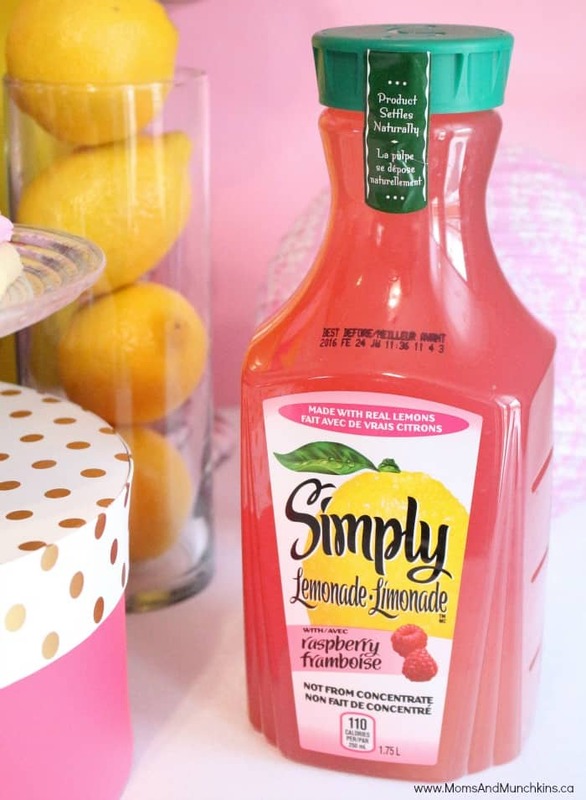 The Pink Lemonade Party wouldn’t be complete without pink lemonade! 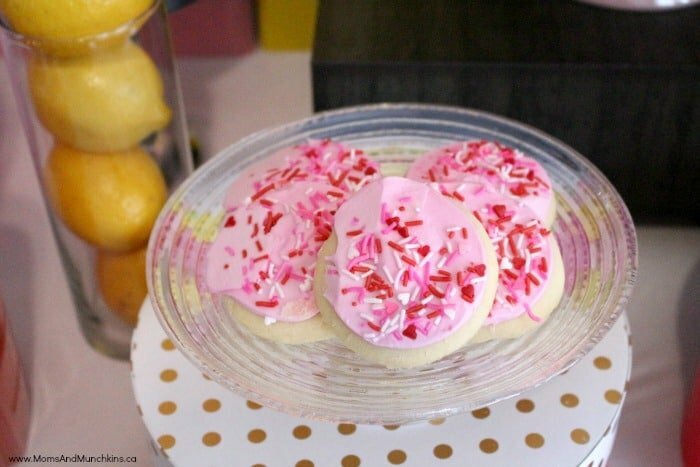 You could serve this in pink paper cups with yellow striped straws. 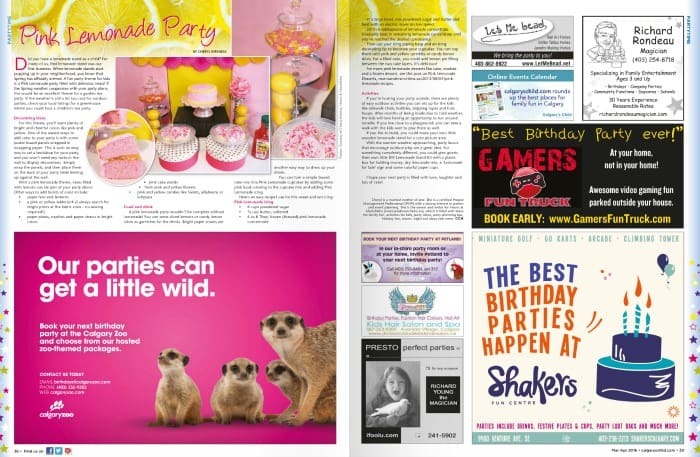 Be sure to visit Calgary’s Child Magazine for all the party ideas! I hope your next party is filled with love, laughter and plenty of cake! 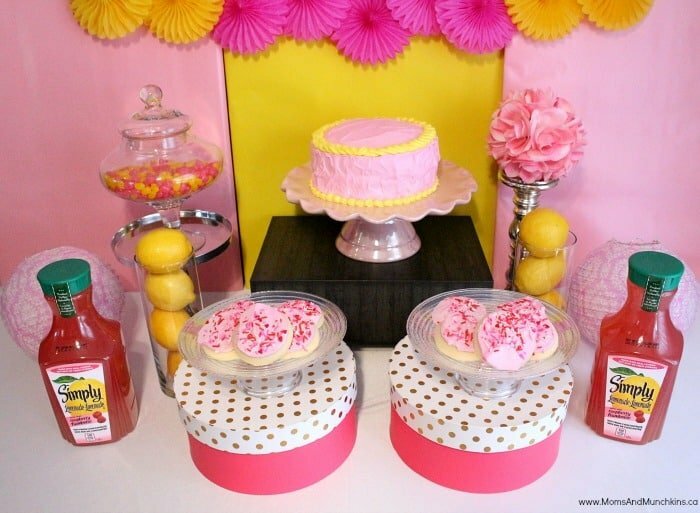 For more party ideas, visit our Birthday page. We’re always adding new ideas for parties and family fun! Never miss an update by following us on Facebook, Pinterest, Twitter and behind-the-scenes sneak peeks on Instagram. Super cute theme! My daughter’s 7th birthday is coming up so this is a good idea. Visiting from Mad Skills party. Very fun party and you worked the theme beautifully!